BELLWOOD, Ill. (WLS) -- A shooting in west suburban Bellwood led to a crash on the eastbound ramp of the Eisenhower Expressway Saturday morning. At about 2 a.m., Bellwood police said an officer responded to the intersection of Van Buren Street and Rice Avenue after shots were fired. 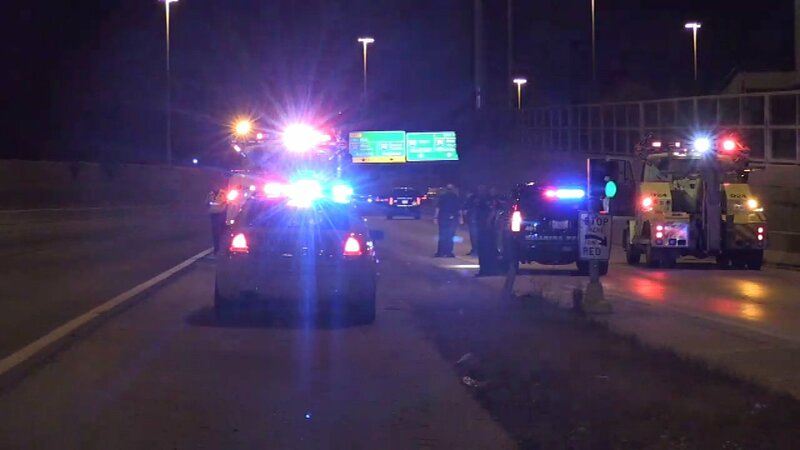 The officer tried to stop the driver, who took off and ended up crashing on the eastbound ramp of I-290 at Mannheim Road. No one was injured and the driver was taken into custody. A weapon and small amount of cannabis was recovered and charges are pending.